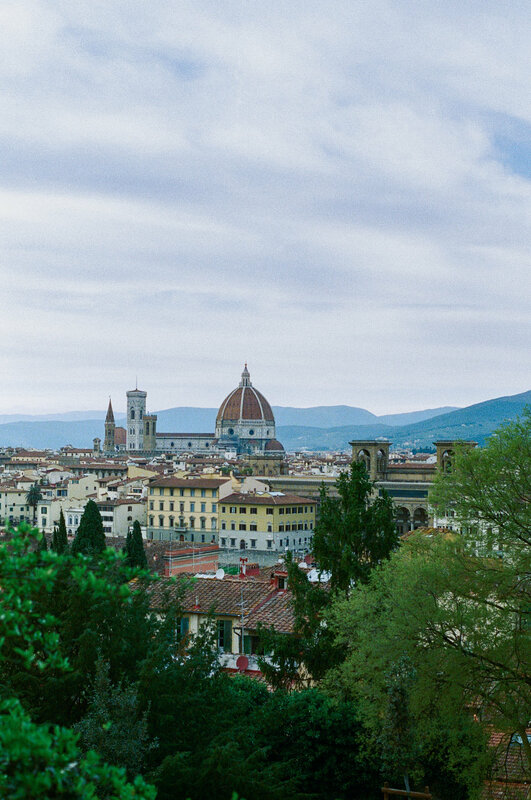 Florence, for many, represents art, music, creation and love. For me, I think these are fair descriptors, but there's more, something indescribable about the feeling of being in this amazing city. Distinctly Tuscan, the atmosphere is remarkably easygoing while remaining true to the lineage passed down for generations. The people, including the concierge who took our photo, the innkeeper that made us dupio espressos and cappuccinos each morning and tea in the evening, will never be forgotten for their graciousness. Last but not least the food, the pasta, and wine, and coffee served by the beautiful people who so graciously welcomed us into their city were remarkable in both their sophistication, but also honestly to time honored tradition. I don't have much to say beyond that to describe the city. Much of my time was spent preoccupied (see the end of the post). 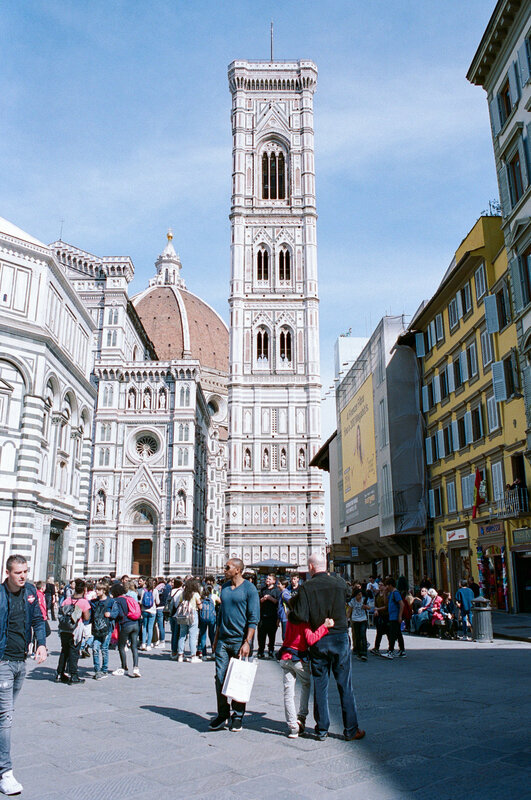 Florence provided a uniquely Italian experience, true to its roots and solidified in my heart for the rest of my life, as the start of something great. 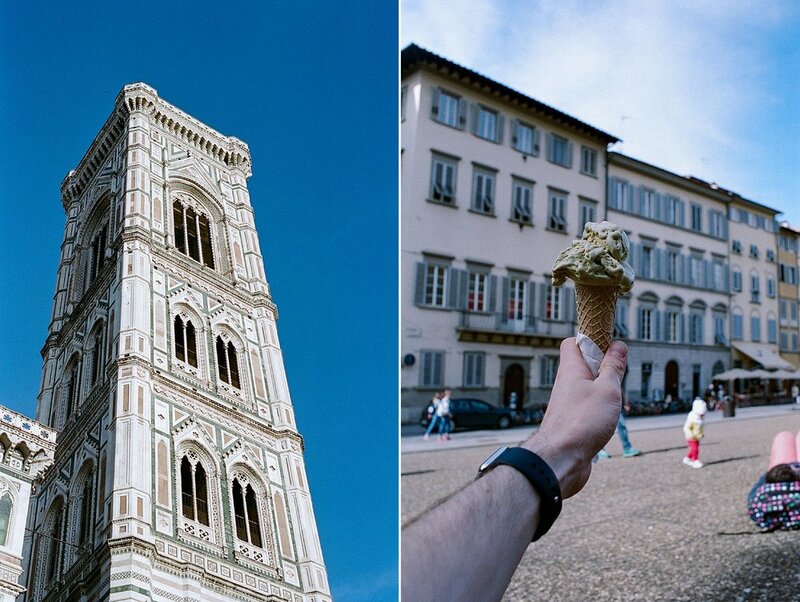 These images were taken with a Nikon FE2 and both the 28mm f/3.5 and the 50mm f/1.8. Just like my photos from Venice, I exposed Portra 400 at 200, and Portra 800 at 800, but pushed one stop. I again found that both Portra stocks and the Ektar performed great. Nothing here is much different from the Venice post.